It’s hard to believe it’s already July already. And here we are, watching the summer progress. We’ve all been keeping busy, and so has our HR team, it seems. June was as busy a month as ever for us as we welcomed over 40 people into our great big family. 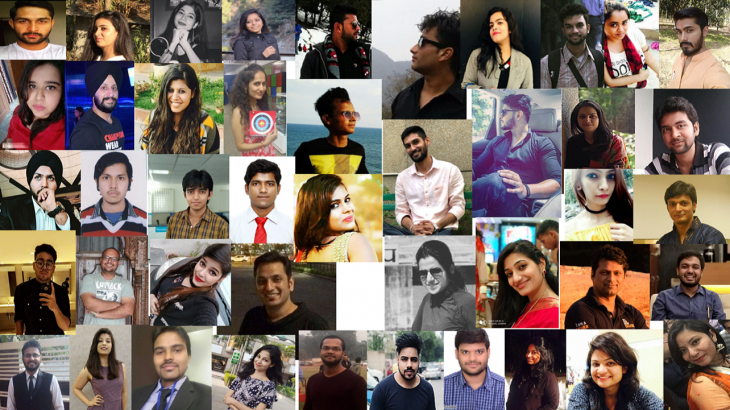 And we are back with our monthly edition of Team Corner, wherein we introduce these wonderful people. So grab your seats as we together journey through the lives of the newest members of Team TravelTriangle. 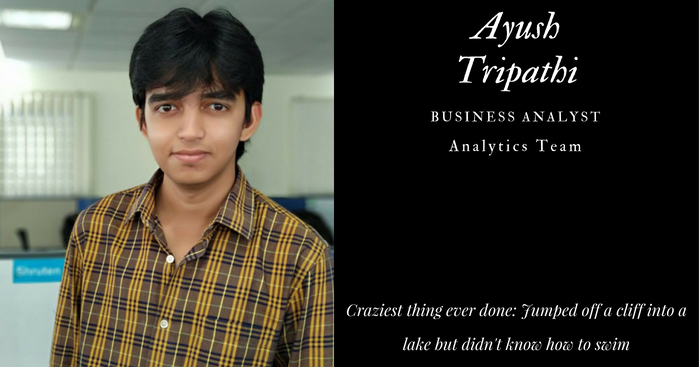 Please join us in welcoming Ayush Tripathi into the Analytics team of TravelTriangle. This Business Analyst loves reading, dancing, swimming, and playing basketball & table tennis. Going forward, Ayush also wishes to start writing. He considers himself as multi-dimensional and believes that he can easily handle situations when they seem to be getting out of control. 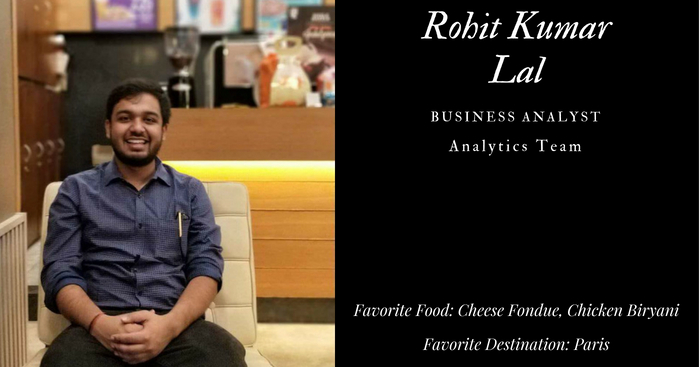 Rohit, another Business Analyst who has recently joined us, finds his interests in reading novels, writing blogs, and playing table tennis & badminton. True to the nature of his work, he seems to analyze everything in detail. This includes the way he is going to invest the sum of Rs 10 crores, in case he wins a lottery. 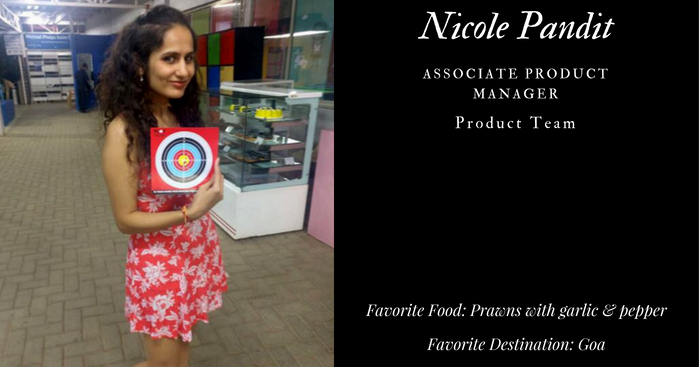 Nicole, an Associate Product Manager, is fond of reading, watching movies, and cooking. She considers her quest for perfection as a bad habit, especially when it is not necessarily the best course of action. In the hypothetical event of winning a lottery of Rs 10 crores, Nicole would love to buy a house & a car, take a trip, and deposit the rest in her bank account. 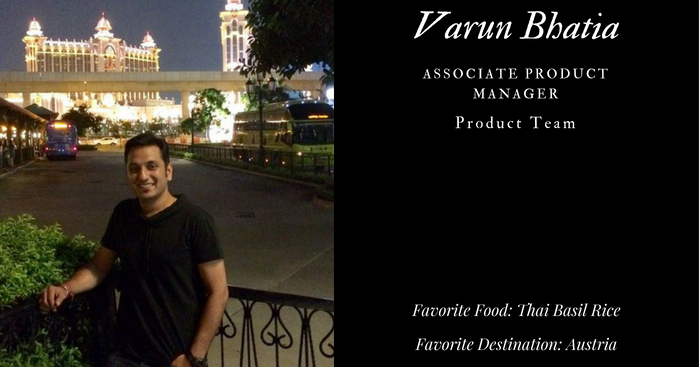 Varun Bhatia is another Associate Product Manager who has recently joined the TravelTriangle family. 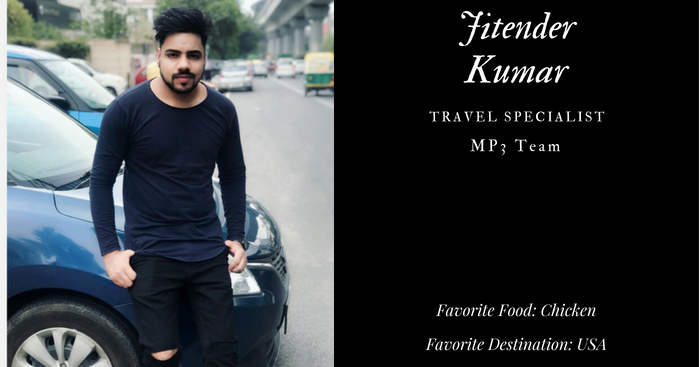 This Delhiite loves cooking & is passionate about sports. It is his goal to execute his hobbies and enjoy his favorite food with his family in Austria. Varun is also an adventurer, and has tried out the Devil’s Drive – an adventure sport. With the lottery winnings of Rs 10 crores, he would love to build a house on an island for himself. 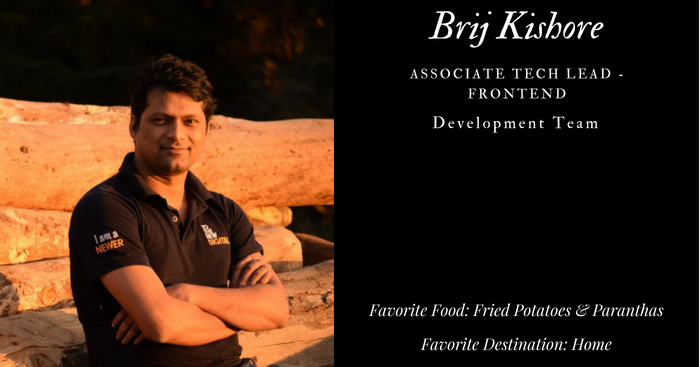 Brij is one of the recent members of the Development team. He finds interest in playing games, photography, and reading about technology. With the lottery winnings, he intends to build a center where the senior generation can pass the wisdom to the next generation. 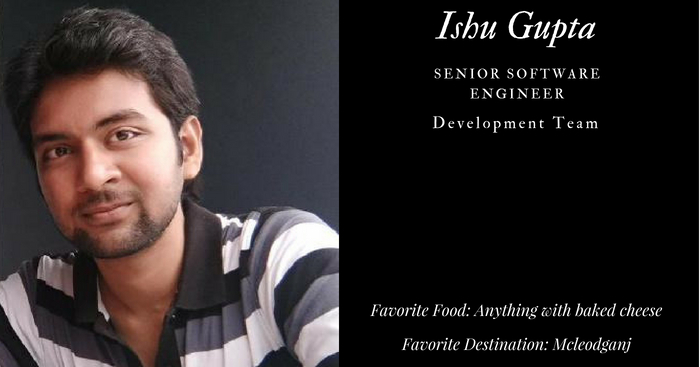 Our newest Senior Software Engineer – Ishu – loves football. His other interests include eating food with baked cheese and watching movies. Ishu’s love for movies can be best highlighted by the fact that he once saw the same movie 5 times in the cinema theater. 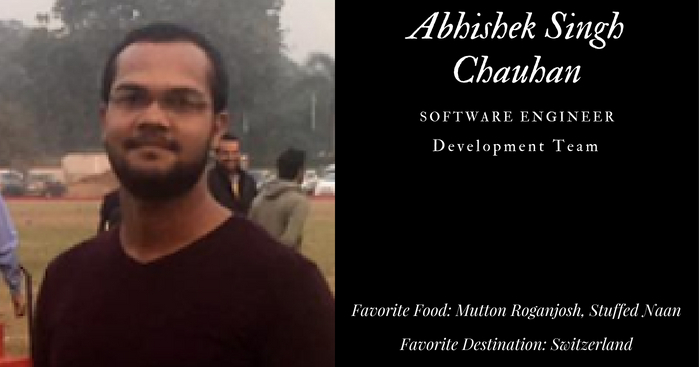 Abhishek, who has recently joined the TravelTriangle family as a Software Engineer, discredits success if it isn’t hard to get. He is fond of watching & playing cricket, watching movies, and learning. In case he wins a lottery of Rs 10 crores, he would build a school and a countryside house. After product & development team, we now move on to the HR department. 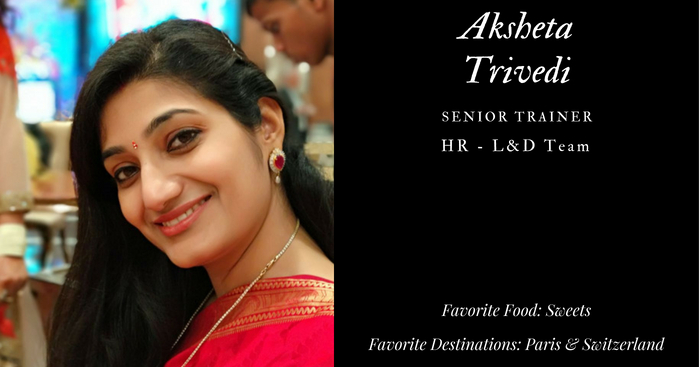 First in that list is Aksheta, our Senior Trainer. Hailing from Rajasthan, she takes a keen interest in music and dance. And she would like to invest her lottery winnings in travel, food, and a house. Another person who has recently joined our HR team is Bhavye. 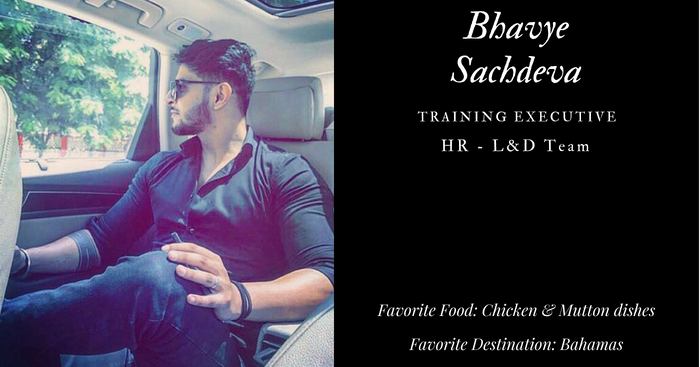 This Training Executive loves to dance, work out in gym, and go for long drives. And should be end up winning a lottery of Rs 10 crores, he would invest in his interests and buy gym supplements & accessories, sports cars, and sports bike. 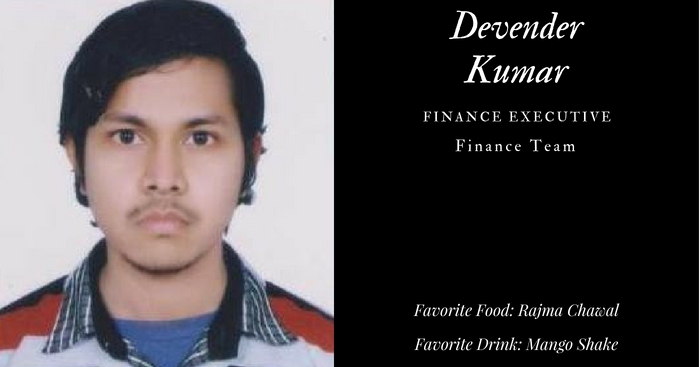 Next on our list is Devender, who has recently joined us as a Finance Executive. And when he isn’t busy handling money & numbers, he listens to music or watches movies. It is not I, but Deepti, who has labeled herself as a procrastinator. This new member of the Digital Marketing team loves to watch TV series and enjoys the taste of Sangria. 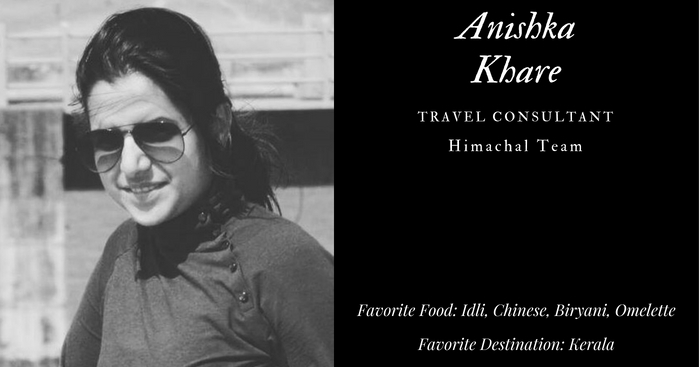 She is also fond of traveling, and would love to spend her lottery winnings in traveling to both hill stations and beach destinations. 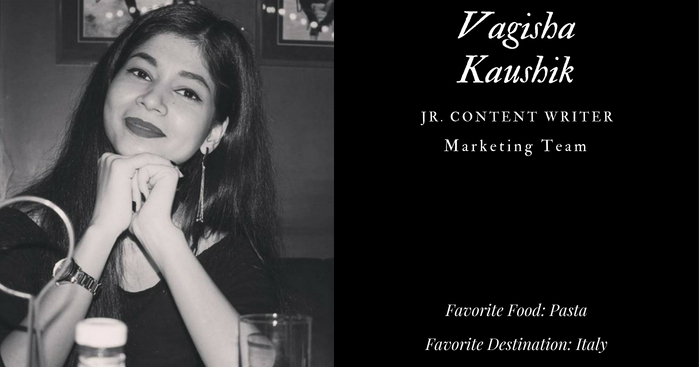 Another new member of the Digital Marketing team is Vagisha. A fan of Agatha Christie, she loves to read. Her other interests include drawing, writing, watching TV series, dancing, traveling, and shopping. In case she ends up winning a lottery of Rs. 10 crores, she would use it to provide free education & food to the needy, and spend the rest in shopping & traveling. 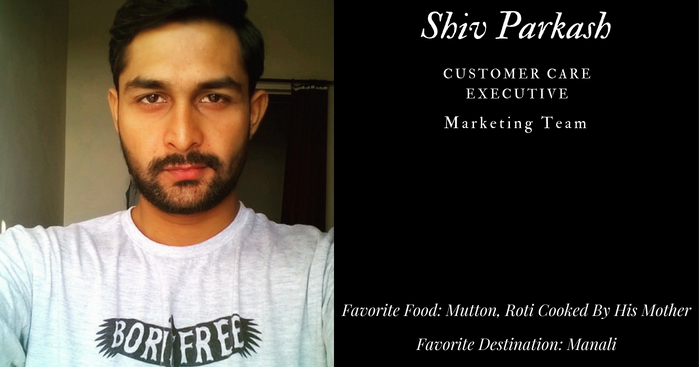 Shiv has recently joined the Marketing team as a Customer Care Executive. A man of many interests, he loves singing, dancing, running, swimming, trekking, listening to music, playing snooker & cricket, and indulging in adventure sports. And while he enjoys doing all of this, the one thing that he detests is lying. “I get irritated if my breakfast is not made right”, says Pooja, our new Assistant Manager of the Customer Experience team. This food lover also takes a keen interest in painting, cooking, reading, exploring the road less traveled, and watching TV series. And one might find it interesting & inspiring that she successfully survived without a cell phone & social media channels for 2 months! Interested in knowing more about this decision? Well, it is the big question – To be or not to be… Caffeinated – that Shreya takes every day. 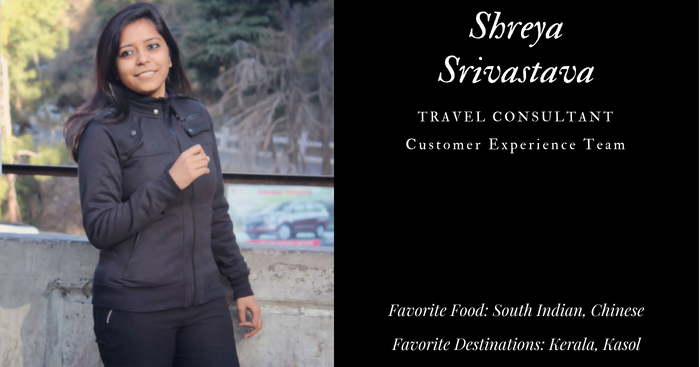 This newly recruited Travel Consultant in the Customer Experience team is fond of dancing, swimming, traveling, reading novels, and watching web series. And just as she has been open about her hobbies, she has been equally vocal about her negatives; namely, aggressiveness and bluntness. 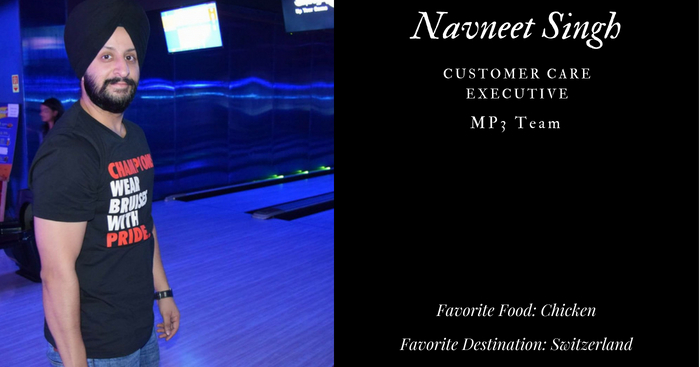 Namra, yet another member of the Customer Experience team, is fond of playing video games, watching movies & series, dancing, and reading. A big foodie, she likes to try food from different areas & cultures. And beware! She once ended up beating a boy in the school because he was troubling her. So, she surely isn’t a girl to be messed with! Navneet too has joined the TravelTriangle family as a Customer Experience Executive. He loves watching & playing soccer and working out in the gym, and driving extremely fast. Also, he discredits all limits by saying that they exist only in one’s own mind. The new joinee next on our list is Jitender. This Delhiite is an erstwhile state champion in Judo. He also used to play basketball. Joining this startup is, for him, a stepping stone as he aims to start a business of his own someday. 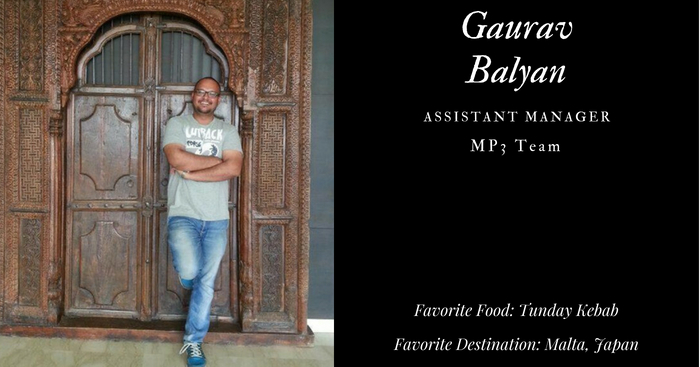 Gaurav has recently joined our MP3 team as an Assistant Manager. He loves to sleep, indulge in sports, and play any kind of video game. Should he win a lottery of Rs 10 crores, he would invest the winnings in WSOP – a worldwide Poker championship. Another thing that he apparently loves is driving. In fact, he once drove from Delhi to Mumbai, just had Vada Pav & tea, and drove back. 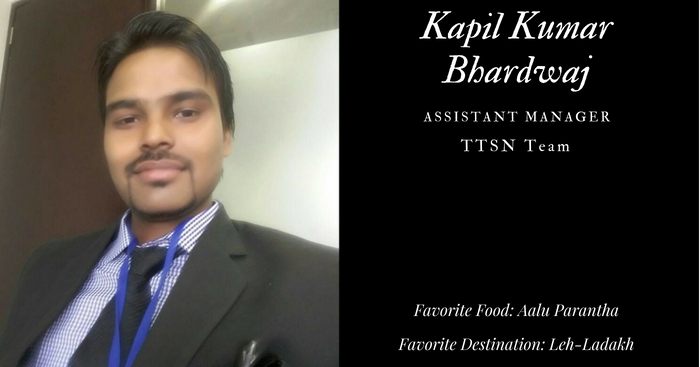 On the supply side of the operations, we have recently been joined by Kapil as an Assistant Manager of the TTSN team. He loves singing and playing musical instruments. It is not surprising that this love is not just limited to music. He once danced on the road at 2 am in the night while celebrating a friend’s birthday. But when it comes to utilising his lottery winnings, Kapil would want to build an old-age home. 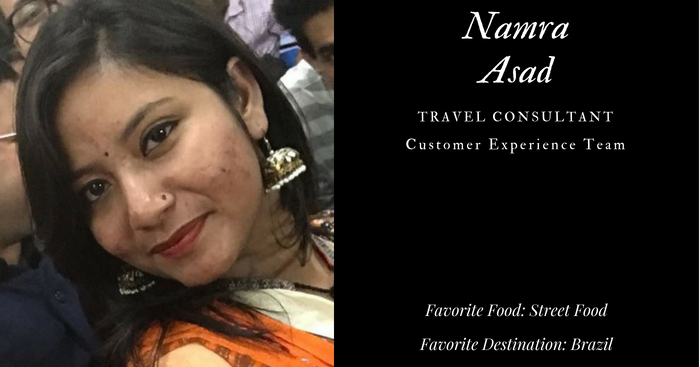 Anushka, who has recently joined the FC team as a Travel Consultant, loves to dance and explore the Facebook feed in her free time. In case she wins a lottery of Rs 10 crores, she would love to buy a big house & a nice car, and travel to beautiful destinations. A very interesting thing about this girl from Lucknow is that she once threw a party for her friend using the latter’s ATM card but her friend didn’t realise that the card was missing. 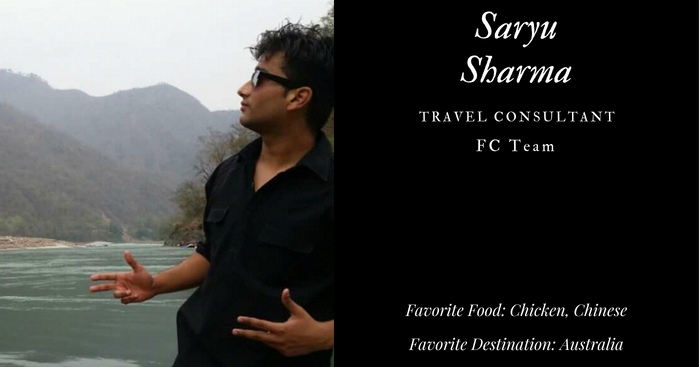 Another Travel Consultant who has joined the FC team is Saryu. He hails from Rajasthan and would love traveling to Australia, his favorite destination. Other than traveling, he takes a keen interest in DJing and singing. And should he ever win a lottery, he would purchase some gold biscuits, a luxury house, some luxury cars, and even a gas station! Any amount left would be used to sponsor his trips across the globe. Alright, alright! 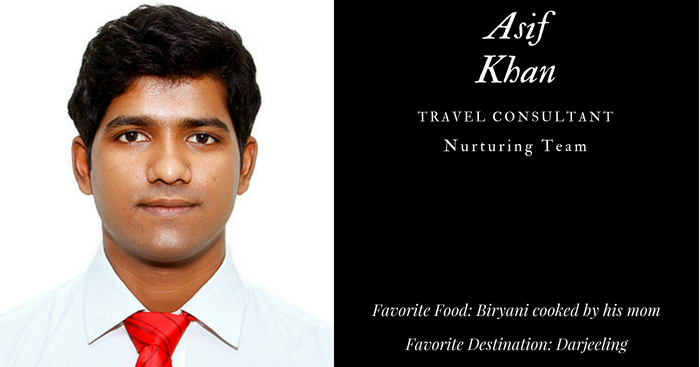 I haven’t really heard Asif – one of the new joinees in the Nurturing team – sing or play the guitar. But when calls himself a rockstar who writes & composes his own songs, I am going to take his word for it. And so, we are going to take a note of the same (officially recorded in the form of this blog), and we’ll be making him perform for us whenever we next get an opportunity. I hope that’s fine with you, Rockstar!! 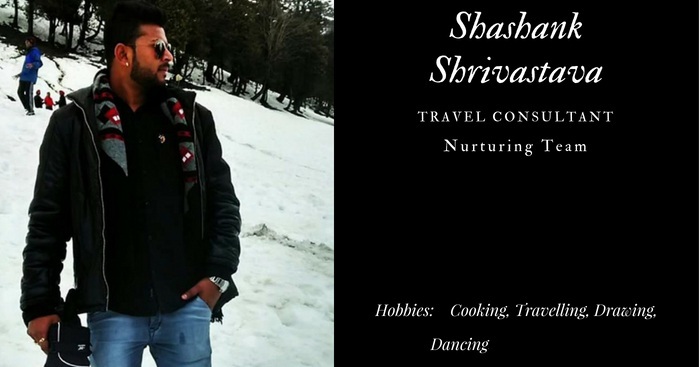 Shashank, another new joinee in the Nurturing team, is generally a shy & introverted person. But those, with whom he is comfortable, know him to be someone very frank and chatty. And, perhaps, those closest to him also know him to be fond of cooking, drawing, dancing, traveling, and watching movies. Well, ladies and gentlemen, you too are now in that list. 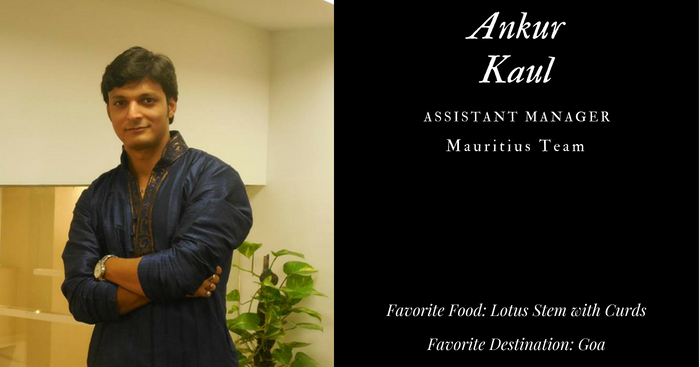 Ankur, the new Assistant Manager of the Mauritius team, loves playing snooker. In the past, however, it was his love for playing cricket that made him jump off the 1st floor when he was only in 6th grade. But it is neither of the two sports that has brought him thus far. Rather, it is his belief in himself that always keeps him going. 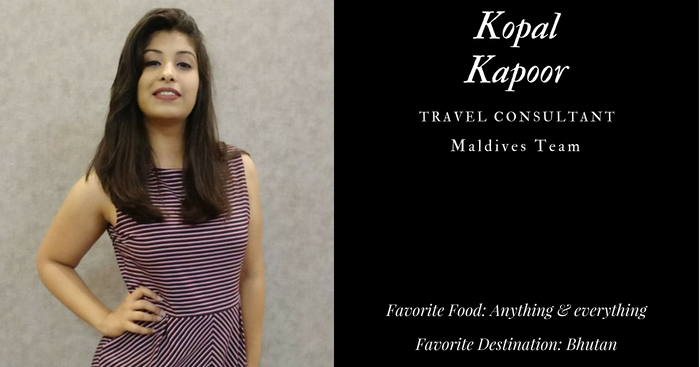 It is the Maldives team that Kopal has recently joined as a Travel Consultant. This girl from Faridabad loves to spend her time binge-watching on Netflix. She dreams to lead a healthy & comfortable life, and is ready to work hard for the same. With the winnings of the lottery, Kopal would love to buy herself a BMW and invest the rest in her own business. 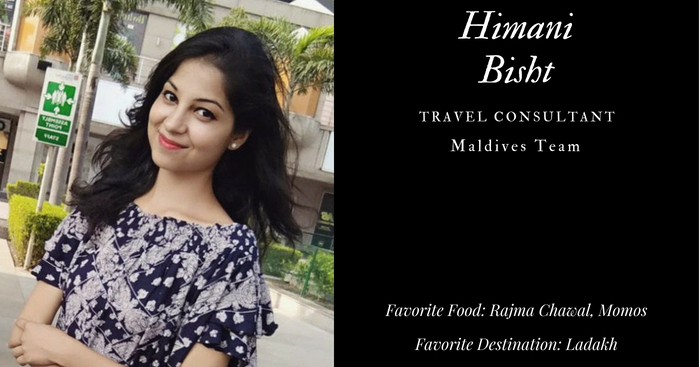 There’s a very good reason why Himani, another new Travel Consultant in the Maldives team, has given herself the tagline above. This girl from Almora is crazy about dogs. As an 8-year old kid, she sneaked in a newly-born puppy from her neighbor’s house into her own room until her grandmother caught her. And that’s not all. In case she were to win a lottery of Rs 10 crores, she would start an NGO for dogs. The remaining amount, however, would be donated to improve the Uttarakhand Roadways bus network. 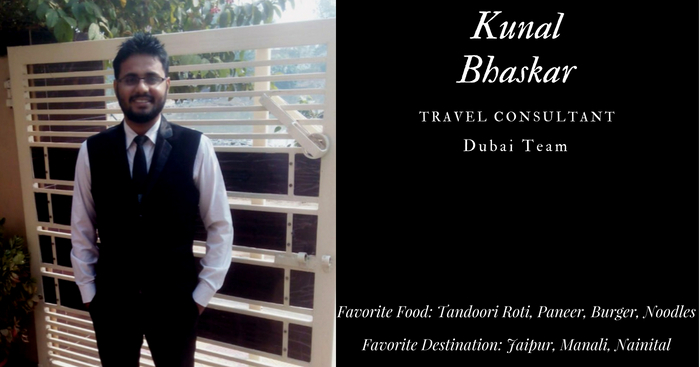 The next Travel Consultant to have joined us is Kunal, who will be a part of the Dubai team. The snippet above shows his undying love for food & travel. But what it does not highlight is his long list of hobbies, which includes painting, writing poetry, and playing basketball. 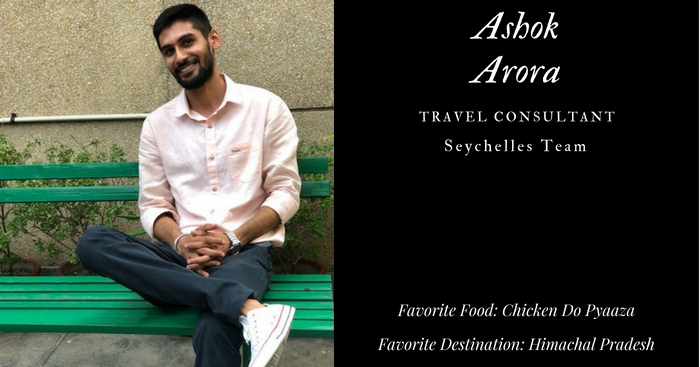 It is the Seychelles team that Ashok Arora will be joining as a Travel Consultant. He aims to earn as much as he can, so as to give his parents a luxurious life. Like many others, this guy from Faridabad is fond of cooking, dancing, and talking with everyone. He also enjoys playing & watching cricket. In fact, during the Indo-Pak match in 2011 Cricket World Cup, he and his friends created quite a mess in his hostel while celebrating India’s victory. Now that’s something that many of us might be guilty of, only if it were to be considered a crime. But it sure isn’t, or is it? 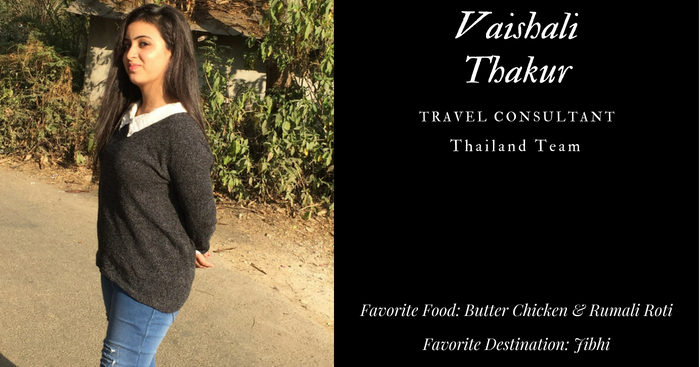 Vaishali, the newly-joined Travel Consultant in the Thailand team, looks at everything from a creative angle. In her free time, she loves reading mystery novels, planting trees, and playing with animals. Her other interests include speaking on social issues and traveling to the unexplored places. 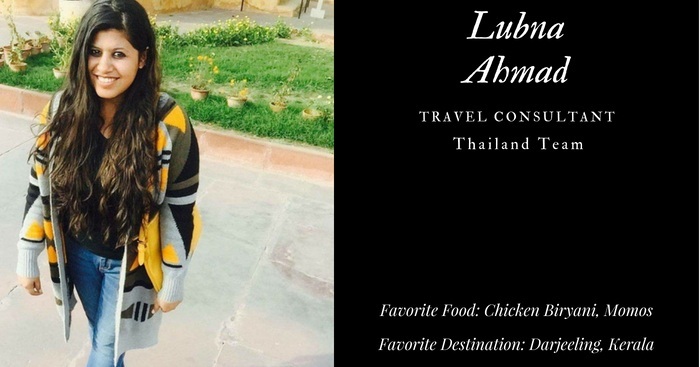 Another person who has recently joined the Thailand team as a Travel Consultant is Lubna. 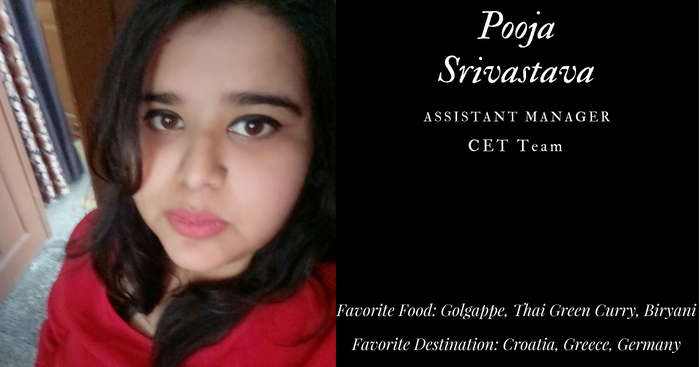 This girl enjoys cooking and loves eating Chicken Biryani and momos. And when it comes to traveling, she likes both hilly destinations like Darjeeling and the coastal ones like those in Kerala. 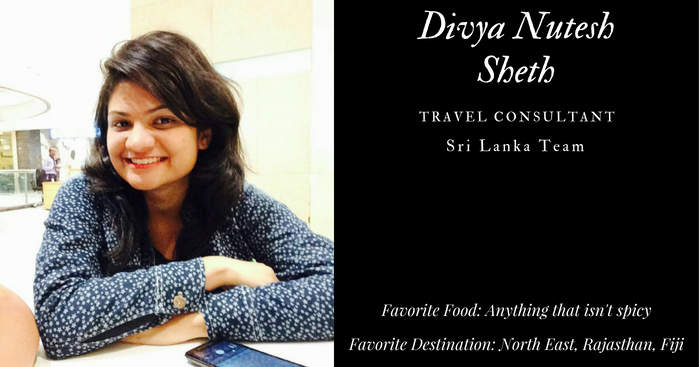 Divya, who has joined the Sri Lanka team as a Travel Consultant, justifies the title of ‘explorer’. Why? Well, for one, she loves traveling solo; especially to offbeat destinations. In fact, with the lottery winnings of Rs 10 crores, she would travel around the globe and visit some less-touristy destinations like the Faroe Islands, Fiji, Nauru, and South America. In addition to traveling, she takes a keen interest in trekking, sketching & painting, and using social media platforms. 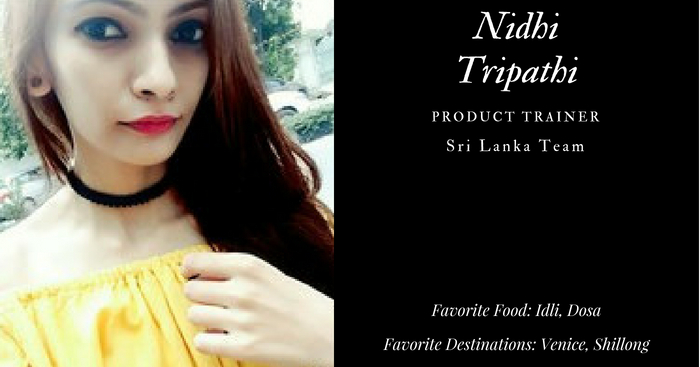 Hailing from Uttar Pradesh, Nidhi has joined us as a Product Trainer in the Sri Lanka team. She is passionate about fashion and would love to go shopping using her lottery winnings. However, the remaining amount of the lottery would be invested in buying a flat for her parents. Her other interests include dancing, sketching, and playing volleyball. 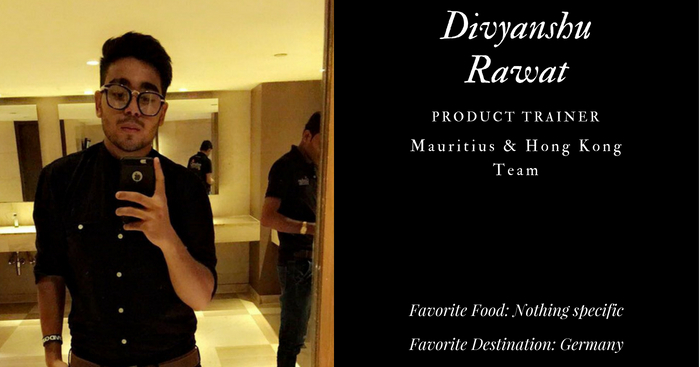 The Hong Kong & Mauritius team have a new prankster in the house in the form of their new Product Trainer – Divyanshu. This guy from Dehradun wants to invest in himself & his family, and become a better human being. Divyanshu also loves watching movies, playing football, and traveling. And traveling is what he intends to do with his lottery winnings. 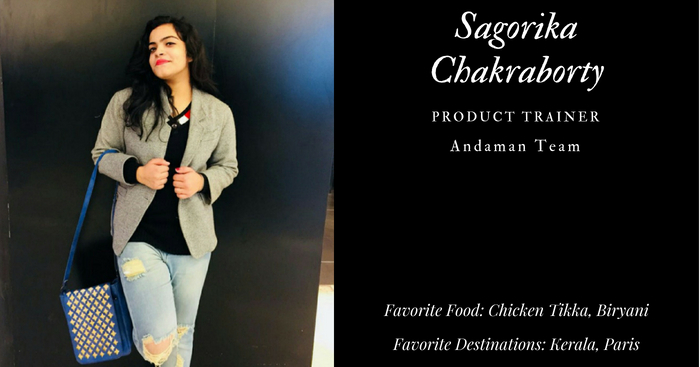 Next on our list of Product Trainers is Sagorika – a Bengali girl from Delhi. She loves dancing and is trained in Bharat Natyam, Rabindra Natyam, and Indo-western forms of dance. With her lottery winnings, she would love to build an old-age home for the old & the homeless, and spend the remaining amount on shopping. 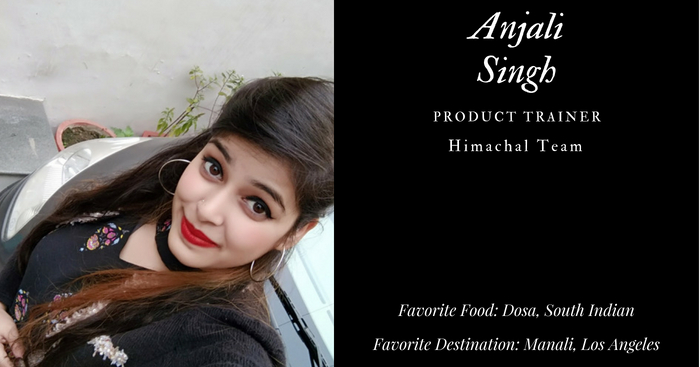 The last among the Product Trainers who joined the TravelTriangle family is Anjali. This girl is fond of singing, dancing, and cooking. She also enjoys playing volleyball, throwball, badminton, and table-tennis. I now see why she has mentioned herself to be multi-talented. Wonder if there are more talents that she’s hiding from us currently, don’t you? Turns out that we have another ‘Rockstar’ who joined us last month. 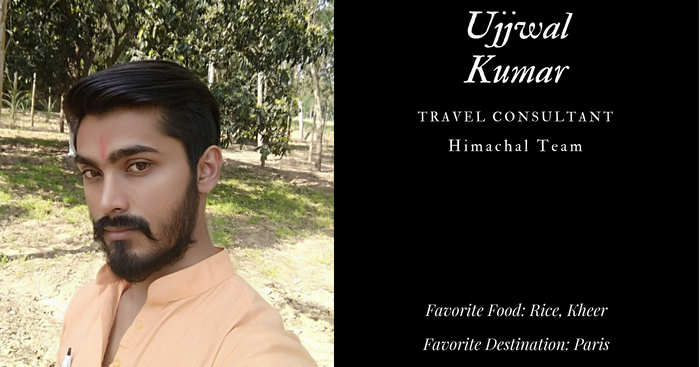 This is Ujjwal – a Travel Consultant in the Himachal team – that we are talking about. He loves playing guitar, singing, and listening songs. Ujjwal also takes a keen interest in sports and enjoys playing cricket & basketball. Should he end up winning a lottery of Rs 10 crores, he would ensure that he regularly takes long world tours. Hey buddy, you do know where to book your holiday packages from. Right? 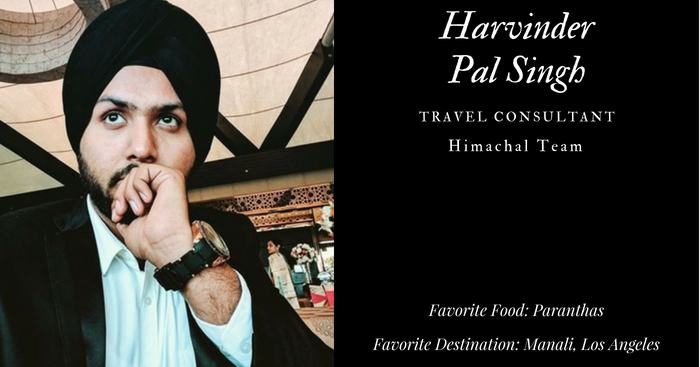 Another Delhiite who has joined our TravelTriangle family is Harvinder. This Travel Consultant has been playing cricket since the age of 5 and has represented his university team at higher levels as well. Harvinder, or Harvy as he likes to call himself, dreams of having a big mansion & other luxuries in the future. Anisha, who hails from the Datia town in MP, loves getting exposure to multiple fields. In fact, this is the 6th time across studies & jobs that she has changed her field. Likewise, she loves to try new things every now & then. Well, this explains her long list of hobbies – reading, singing, dancing, listening to music, trying different cuisines, and visiting new places. 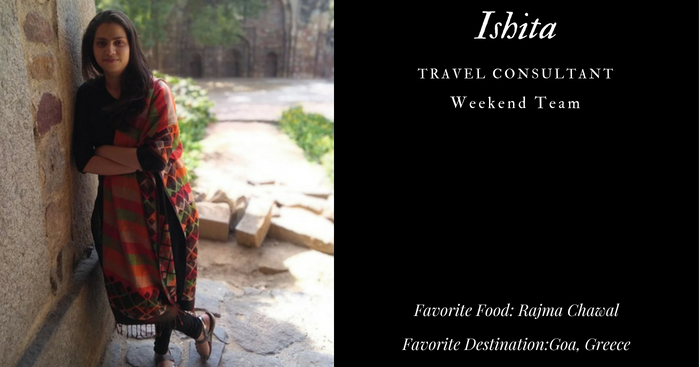 It is the Weekend Getaways team that Ishita has recently joined as a Travel Consultant. 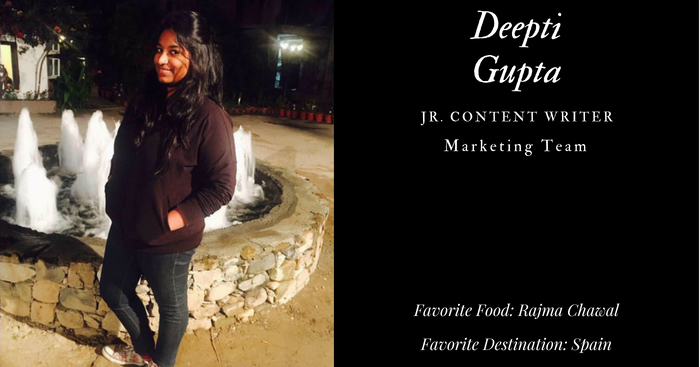 This girl from Haryana loves writing blogs, listening to music, eating, & traveling. In fact, she hopes to try all adventure sports before she dies. And, should she end up winning Rs. 10 crores in a lottery, she would use the winnings to travel across the globe and cover tourist attractions like the Grand Canyon in USA, the London Eye in the British capital, Delhi’s India Gate, the Dal Lake in Kashmir, the Eiffel Tower in Paris, and the white-blue buildings in the Greek Cycladic Islands. 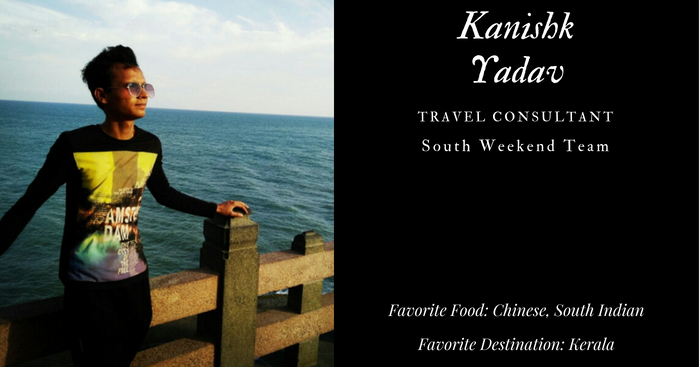 Hailing from Meerut, Kanishk has joined the TravelTriangle family in the South Weekend team. He is passionate about art and loves painting. In case he wins a lottery of Rs 10 crores, he would use the winnings to gift his parents a world tour and adopt many pets. During the induction process, Kanishk even went on share a leaf out of his college diaries, revealing how he used to steal eggs & cookies from his bakery classes to cook food in his room. 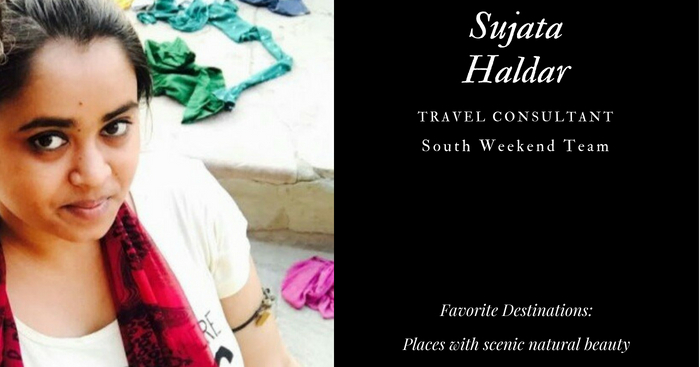 Sujata hails from Ranchi – the City of Beautiful Waterfalls – and loves exploring new & scenic destinations to enjoy an adventurous life. She aims to be someone who never quits in pursuit of the dreams, and, in doing so, be the best of herself in her own eyes. With the lottery winnings worth Rs 10 crores, she would ensure that her mother gets the best medical care & check-ups. The remaining amount would be used to build a Seva Bhawan, offering free medical check-ups for the needy. As always, we will continue to expand our amazing family and welcome more & more new Triangulars. And until August comes, have a great July.